While many expected Apple to unveil updates to its MobileMe cloud storage service during its recent iPad 2 event, it just didn’t happen. Instead, Apple CEO Steve Jobs just focused on the company’s second-generation tablet, and that was that. But talk began bubbling up to the surface today that Apple has plans to hold an event in the first half of April to discuss updates to MobileMe, as well as iOS 5. The rumor comes via Macerkopf, and is, of course, entirely unconfirmed by Apple. That said, the timing would match Apple’s schedule from years past. We’ve heard a lot of chatter about MobileMe this year, so it would make sense that Apple has something in the works for the service. While there are no new details to report today, past rumors indicated that MobileMe could become integrated with iTunes as a type of online “locker” for users to store their music collections. It could even be an integral part of an eventual cloud-based iTunes, which would allow users to access their media libraries from any enabled device. We doubt, however, that such an update to iTunes/MobileMe will happen this April. 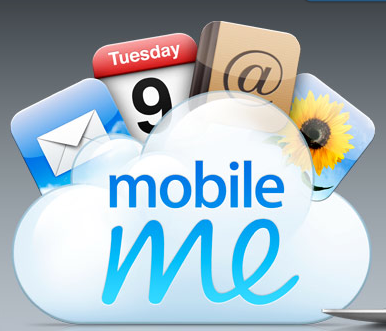 Other rumors indicate that MobileMe, which currently costs $99 per year, will become free. What we do know for certain is that Apple’s massive new data center in North Carolina — the largest for the company — will be ready to open this spring. And the company has confirmed that much of the virtual space will “support iTunes and MobileMe services,” according to a company spokesperson. So a MobileMe update appears imminent — but what exactly that will entail remains unknown for now. Unfortunately, very little has been said about iOS 5, and what features we can expect from that update. But as soon as we hear anything, we’ll let you know.